We are a professional landscape maintenance contractor with 20 year of lawn service experience. Landscapers for Walla Walla, WA and Tri Cities Washington, doing; mowing, tree and shrub trimming/pruning, full landscaping garden services. 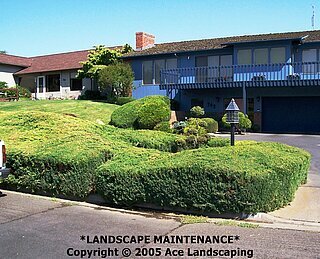 Our professionals do landscape maintenance, for local residential properties, businesses, and estates. As you know the crew is what makes the company, and my guys are all Foreman grade, and have been with me for many years. They also have the knowledge, & experience to recommend ideas to improve your property, and then immediately implement those ideas, with your permission. This is far above and beyond what any other traditional maintenance crew could do. Our landscape maintenance programs are specifically designed to protect, and increase the long term value of your personal landscape investment. When you trust me with your property, in return, you will see the same group of reliable guys taking care of your property, on a weekly, or biweekly basis. Our services include: weekly mowing, spring or fall cleanup, thatching, aerating, weeding, tree or shrub trimming, pruning, or removal services, snow removal, gutters cleaned, sprinkler repair. We would like the opportunity to earn your business. Please call for your FREE estimate today. (509) 522-2081 Thank you. I live in an area where the Ace Landscaping business takes care of the yards. 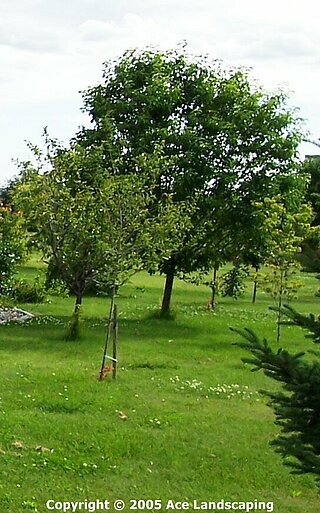 I have had them trim and thin the two trees in my back yard for several years. They always do a really good job and leave things a lot better looking by the time they leave. We are very pleased with the work Ace landscaping has done for us. They removed trees, planted shrubs, repaired driveway and will also soon be trimming our shrubs. I trust them to do top notch work. They are great to deal with.